When you read my Twitter bio it states “I’ve become a runner at 40.” And that’s no lie. At the end of June 2012 I was sitting on the beach in Gulf Shores and very aware of the goal I had set of being a certain weight by my birthday on August 4th was not going to happen, at least not in a healthy way. So I wallowed a bit in self-pity and then did what any mom does to take her mind off her own shortfalls, grabs the camera (or in this case, my iPhone) and planned to start taking pictures of my kids playing on the beach. After grabbing a few pics I uploaded them to Facebook. That’s when I came along a post promotion for the Buddy Run 5K that was being organized in honor of a local father and runner in our community after he was tragically killed in a hit and run early one morning while training for an upcoming marathon. Tragic as that was, it was a strange coincidence, to me, that the run would be on my 40th birthday. I decided then and there… that was my new goal. I would run a full 5K on my birthday. I signed up, added the GoCoucht05K app to my phone, and mapped out my training schedule. Even more beneficial was a colleague of mine, Sherri Daniel, that committed to run that 5K with me. Keep in mind I have never ran before this. Sherri met me at the start line, ran with me, and then did what any good friend does, asked me minutes after I crossed the finish line,”So when is the next race?” Since then we have run several 5Ks, a few 10Ks and 15Ks, and two half marathons (13.1 miles). But the big challenge and bucket list item was to complete a marathon. 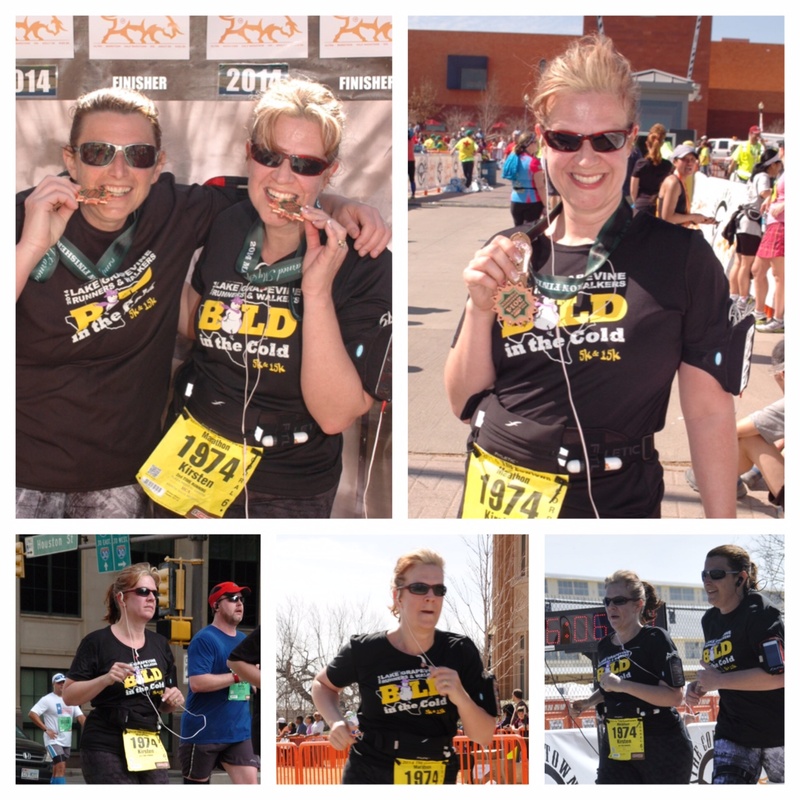 February 24, 2013 we ran the Cowtown Half Marathon. By the time we crossed the finish line we had committed to come back to the Cowtown 2014, but to double the distance. I don’t know if I will ever train for another marathon. I will run other races and most will be along side my committed running buddy, Sherri. But for so many reasons, I am glad I did this most difficult and rewarding challenge. You see, running doesn’t come easily for me. I am not a natural athlete. I don’t get the famous “runner’s high.” What it has taught me, though, is a huge appreciation and understanding for those that struggle daily with a challenge. Each day they face the world with a smile on their face, a kind word for those around them and a can-do attitude. So every time I run, to train or for a race, I put a smile on my face, thank God I have the ability to run, and give myself a ‘can-do’ pep talk and just do it. Bucket list items aren’t meant to be easy… otherwise everyone would do it. And for my brother, Scott, who posted on my Facebook race results that he wanted more evidence because the sister he knew wouldn’t even run to the mailbox… here’s the proof in the pudding. Mom of 2, wife of Eric for 24 years, Educator for 19 years. Passionate about everything in life. Love my community. Proud to be a mom, wife and educator. I write two blogs one is my educational ponderings at my blog "Tag You're It!" (www.teachkiwi.wordpress.com) and the other is "The Wilson Family Stories at the Razorback Ranch" (www.thewilsonrazorbackranch.com).